Digital media changes rapidly. Products that were commonly used a few years ago are now most likely obsolete, and a whole new range of products have taken their place. As well as being faster, cheaper or offering more storage capacity than their predecessors, these new media may also have different tolerances to heat and temperature. This can make it difficult to determine what kind of safe is required to protect them. Generally speaking, there are three levels of protection offered by fireproof safes. Safes for Paper are suitable for items with heat tolerances between 170° C — 180° C (paper can withstand around a temperature of around 177° C before charring or combusting). Safes rated for Data are suitable for items that can tolerate temperatures up to approximately 70° C. Safes with a Diskette rating are suitable for particularly fragile media with a heat tolerance of around 50° C. (These levels are based on independent European and American standards for fire protection, namely EN 1047-1, NT FIRE 017 and UL 72). As the “Diskette” rating mentioned above might indicate, these protection levels were established some time ago. Diskettes and floppy disks are seldom used for data storage nowadays, and most computer companies have stopped manufacturing them. Thankfully, most modern digital media still have heat tolerances in the 50° C – 70° C range, so Data and Diskette ratings remain valid. However, there are more robust media that can tolerate even higher temperatures. Some safe manufacturers now claim that certain digital media can be stored in safes that have been independently tested and certified to protect Paper. In certain situations and circumstances, this may well be true. Few tests are carried out on digital media to determine how they react in a typical building fire. However, to guarantee the integrity of your data media, it is worth referring to the operating temperature, non-operating temperature or storage temperatures given by its manufacturer. Hard Drives – A typical computer hard drive such as that in your laptop, desktop or external backup device uses a series of magnetic platters which rotate rapidly as information is read from the disc or written to it. They are quite susceptible to heat, although modern advances have made them slightly less so. Generally speaking, these types of hard drives have non-operating temperatures of around 70° C, so a Data rated safe would be required to protect them. CDs and DVDs – These are generally quite tough, although this can vary depending on the type of materials and technology used to create the disk. “Pressed” disks (e.g. 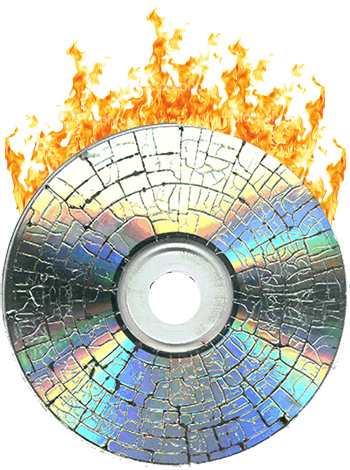 a music album or DVD movie release) are generally quite resilient, while a rewritable disk created by a computer’s disc burner might be less so. In theory, a CD or DVD should be able to tolerate temperatures as high as 120° C for a reasonable period of time. Beyond this, the polycarbonate used in the disk can begin to break down, causing the disk to become cloudy or to deform in shape. Some manufacturers might claim a safe independently rated to protect Paper will also protect CDs and DVDs. However, for guaranteed protection, a Data rated safe should be used. 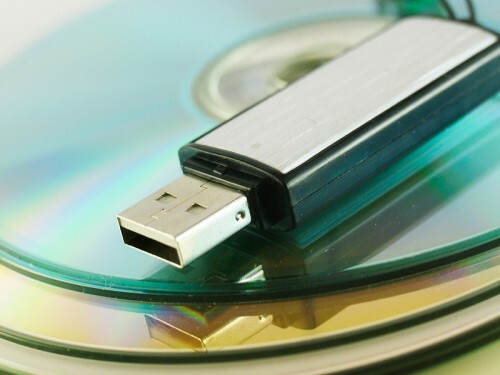 USB Flash Drives – Heat tolerances will vary from product to product, but USB drives usually have a non-operating temperature of around 70° C, so a Data rated safe would be required. Again, some safe manufacturers might claim that a safe independently tested to protect Paper will also protect these drives. SSD Drives – Increasingly common both as internal and external drives, SSDs are much more tolerant to heat than standard Hard Drives. Their non-operating temperatures are around 100° C. In certain situations, they may survive a fire if placed in a Paper rated safe, but a fireproof safe certified for Data would provide guaranteed protection. SD Memory Cards – Used in cameras and phones, these can typically tolerate temperatures as high as 85° C, meaning a certified Data safe would be required for guaranteed protection. LTO Tape – A high capacity magnetic tape, LTOs have an operating temperature of around 50° C, so a cabinet or safe with a certified Diskette rating would be required. As previously mentioned, it is entirely possible that digital media placed in a Paper rated safe will survive unscathed, given the right set of circumstances. However, a safe that has been tested to a Data or Diskette standard will remove all risk from the equation. For maximum protection, always choose a safe that has been independently tested and certified to a recognized standard.